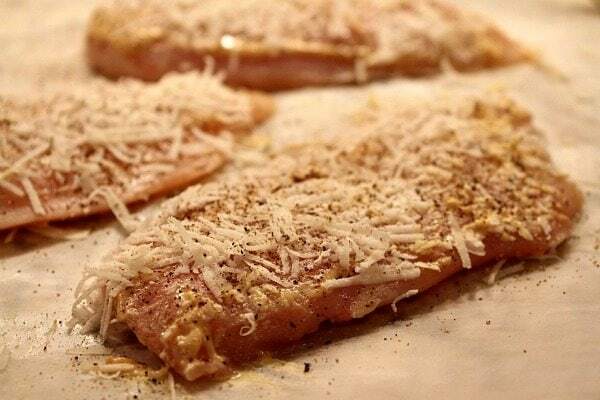 Parmesan Crusted Chicken is a super simple chicken recipe that the whole family will love. Chicken is the one thing I can count on my family being happy with for dinner. Trying to figure out some new and interesting ways to serve it that aren’t laden with fatty sauces or weird ingredients that my child won’t eat can be a challenge sometimes. 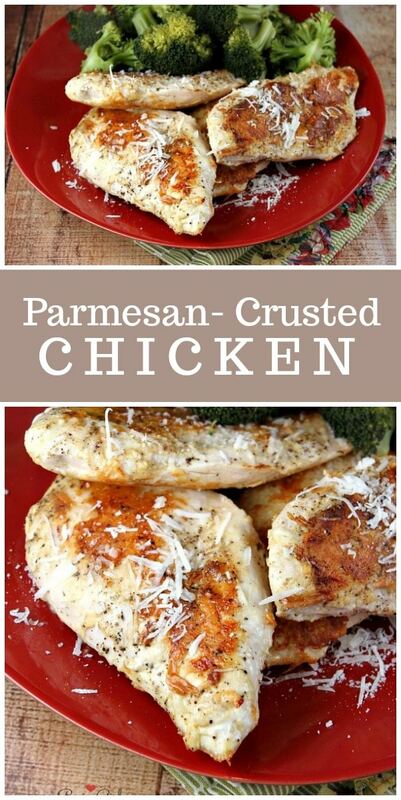 I love this three ingredient Parmesan Crusted Chicken recipe (3 ingredients plus pepper), and it couldn’t be simpler to make. I seriously make this chicken at least once a month. And I usually double the recipe since leftovers tossed into a salad the next day for lunch are fabulous! I like to start with chicken pieces that have about the same thickness all around. If your chicken does not, give it a good pounding on the thicker parts with a mallet to thin it out a bit. It’s easier for the chicken to cook if all of the chicken is the same thickness. You don’t want some of it done and other pieces raw in the middle. 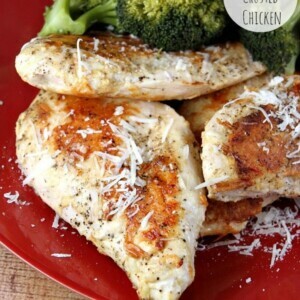 The chicken breasts are lightly coated with Dijon mustard, grated Parmesan cheese and pepper. No salt is needed since cheese itself tends to have a good amount of sodium. 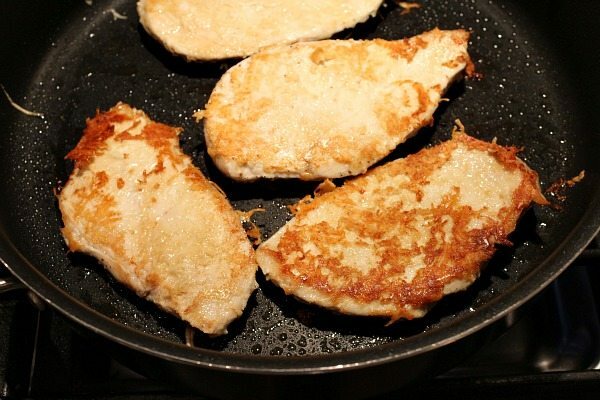 The coated chicken is then fried in a nonstick pan that has been sprayed with cooking spray. No oil is needed either. Yeah, this is a lower fat recipe too- bonus! If you’re following the Weight Watchers plan, this Parmesan Crusted Chicken will cost you just 2 Freestyle SmartPoints per breast. It’s totally worth it to have a delicious, flavorful chicken. And that is all, my friends! Your chicken dinner is done. It totally has enough flavor with the mustard and the Parmesan, and a quick sear on both sides ensures that the chicken maintains its juices and doesn’t get dried out. I’ve waxed poetically about Ellie Krieger before, and here I am doing it again. I love her cookbooks. I have all of them, and I use them often! 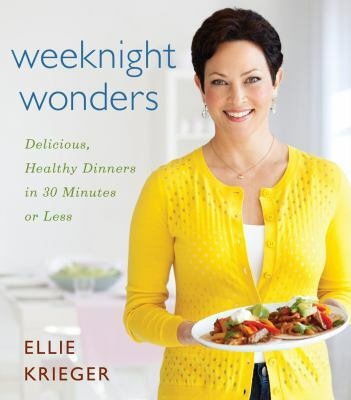 This recipe comes from her newest book, Weeknight Wonders: Delicious, Healthy Dinners in 30 Minutes or Less. In the book you’ll find 150 recipes that span the categories of soups, sandwiches, meats, poultry, seafood, vegetarian, and desserts. Each recipe is designed not to take any longer than 30 minutes – from preparation to getting it on the table. 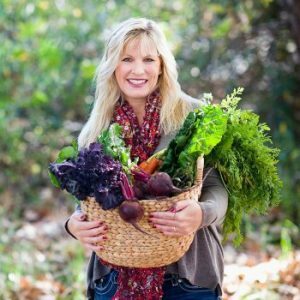 The recipes were created with health in mind, and there is nutritional information included for every recipe. These are the kinds of books I treasure most! I’m excited to try Shrimp Pad Thai Salad, Chicken and Broken Noodle Soup, Mushroom Sloppy Joes, Korean Beef and Broccoli Stir Fry, Corn and Quinoa with Sausage, Orzo with Shrimp, Peas and Feta, Ravioli with Savory Pumpkin Sauce, and Double Chocolate Waffles. This is a cookbook worth buying and using often! In this super simple recipe, the chicken is coated with Dijon mustard and Parmesan cheese and fried in a nonstick skillet. Place the chicken breasts between two sheets of plastic wrap and pound to an even thickness of about 1/2-inch. Rub the top side of the chicken pieces with half of the mustard, then sprinkle with half of the cheese (pressing to adhere), and season with half of the pepper. Flip the chicken pieces over and repeat. Spray a nonstick skillet with cooking spray, and heat over medium-high heat. Add the chicken to the pan, and cook, without moving it, until the cheese on the bottom forms a deep brown crust that releases fairly easy from the bottom of the pan (3 to 4 minutes). Flip and repeat on the other side, cooking until the chicken is cooked through- about three more minutes. *If you are preparing this recipe as GLUTEN-FREE, just make sure that the brand of Dijon you are using is known to be GF. Lori, this dish was so good! 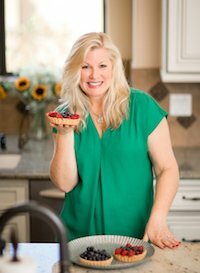 I love it when I find a simple 3 ingredient recipe that is not only good tasting but good for you. Thank you for making my life easier. 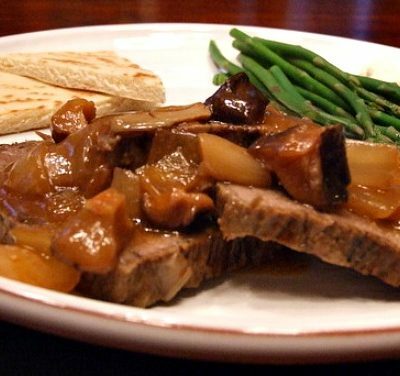 I made this for dinner tonight and it turned out great — more flavorful than I expected. The kids ate it all up too. Thanks! 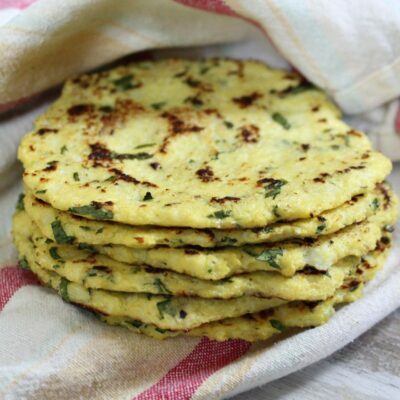 I love recipes that are so simple they seem almost too good to be true. Thanks for sharing this. I had a version of this dish at a restaurant last night and quite frankly it was awful! Overcooked and very salty. 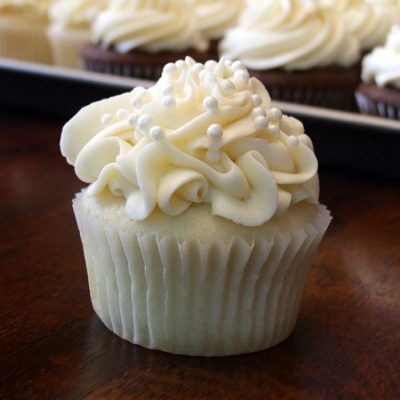 Yours on the other hand looks wonderfully simple and you explain how to make it so clearly. Thank you and I will definitely be trying this on a busy week-night! Made the Parmesan-Crusted Chicken for last night dinner. So good and so easy. I was a little leery about the mustard but I could barely taste it. I will definitely make this again. 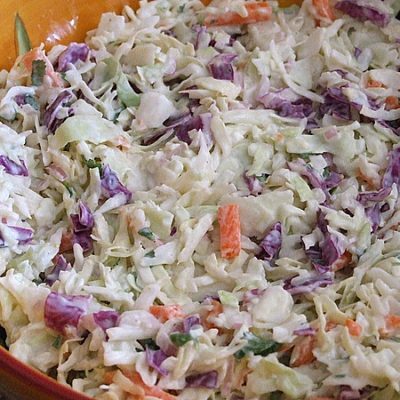 Great for summer meals with a nice Caesar salad. 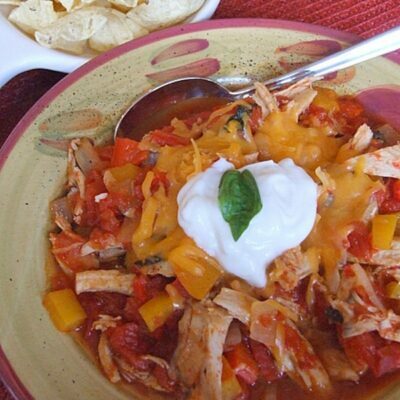 This looks fantastic, Lori! 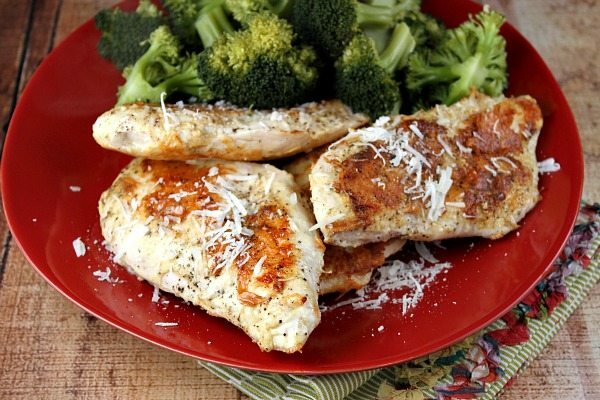 Love, love, love parmesan-crusted chicken! 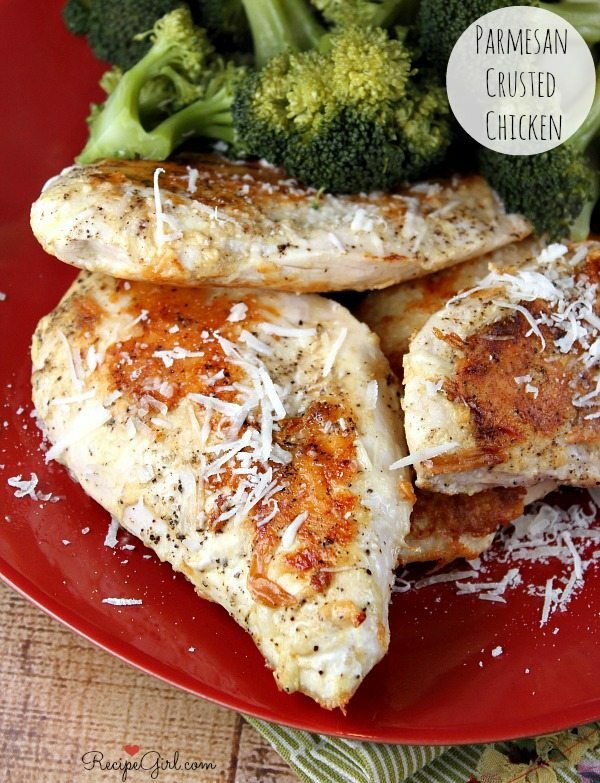 I love simple weeknight meals like this! 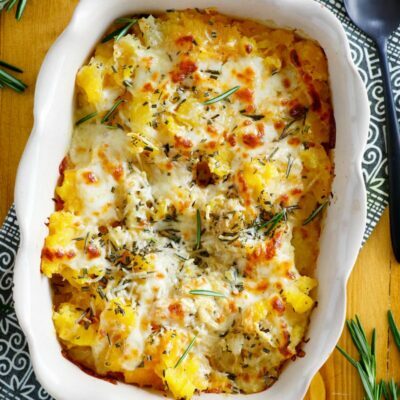 I love simple weeknight dishes like this!